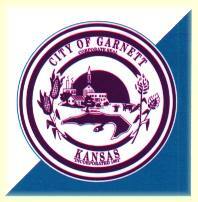 Garnett, located in the fertile, rolling hills of East Central Kansas, is a community of varied interests and attractions. Few areas offers such a diverse selection of recreational opportunities within a 3.5 mile radius. Along with the tourguide of attractions, museums, and historic sites, you are sure to enjoy the family fun-filled activities at each of our three city lakes. Information obtained from Anderson County history books reveal that Harry and Beatrice Houdini traveled to Garnett in 1897. Houdini held a seance at the Opera House hoping to communicate with his deceased mother who would tell them who had murdered an Anderson County resident. The Opera house was overflowing and the crowd enjoyed the suspenseful show. However, the murderer was never disclosed. During his stay, Harry Houdini was put in a lock box which was placed inside the city jail. Needless to say, the famous Houdini easily escaped. Prairie Spirit TrailThe Prairie Spirit Trail offers biking and hiking enthusiasts, runners, bird watchers and nature lovers a new Kansas outdoor adventure. From Ottawa to Iola, the Prairie Spirit Trail encompasses 50 miles of trail.